Looking for a water bottle with filter for travel? The DrinkSafe Travel Tap could be the water filter you're after. Here's my review after using it for a month. 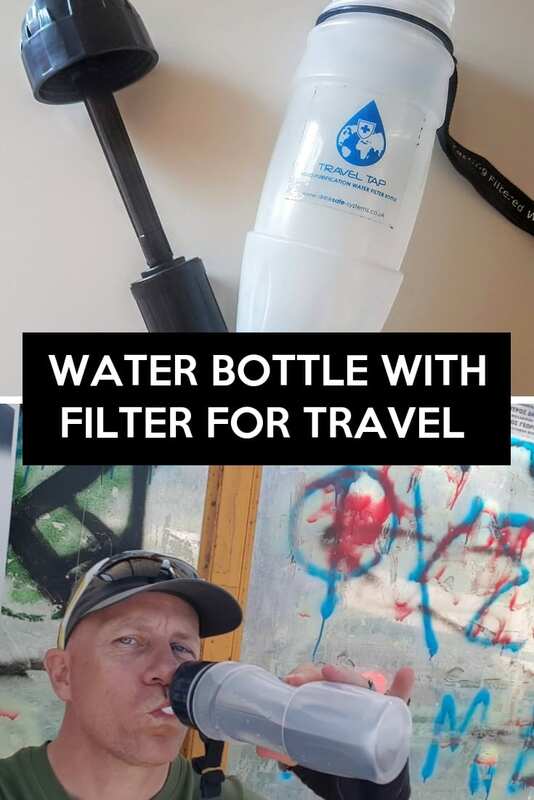 There's many different types of travel water filter on the market. After using various water purifying pumps and steripens, the type I settled for was a water bottle with filter. After narrowing down the type of water filter I was after, I eventually settled on the DrinkSafe Travel Tap. This brand has been going for some years now, and so firmly ticked the reliable box due to its existing track record. It also had an advantage over many of its competitors when it came to a water bottle with filter for travel. Namely that it can remove bacteria, viruses and chemicals. Quite important when bike touring in remote parts of the world! The DrinkSafe Travel Tap is ridiculously easy to use. In fact, I took one along on my last bike tour in central Greece completely unsealed and untested. I literally wanted to see how easy it was to use out on the road! You can see the first time I used it in the video below. The instructions were very easy to follow. 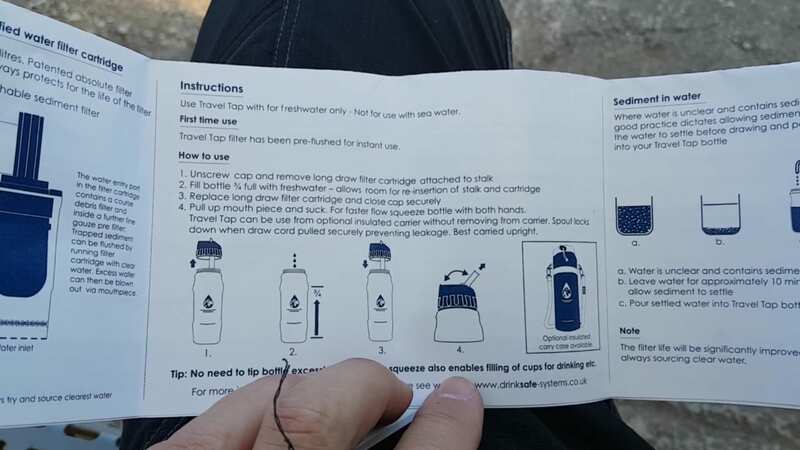 Basically, you just unscrew the cap and remove the water filter from the bottle. Then, fill the bottle up to around 3/4 full. Screw the water filter back, and voila, you can now drink clean water through the mouth piece! What does the filtered water taste like? 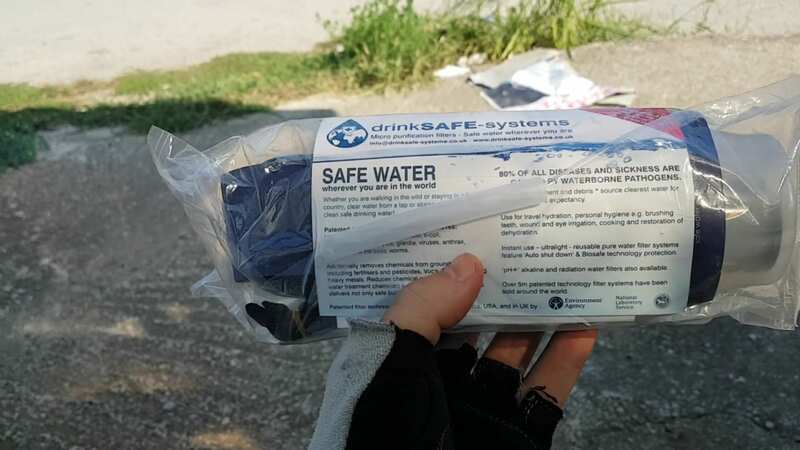 The first couple of times I used the DrinkSafe Travel Tap water filter, there was a bit of an unnatural taste, but after that, everything tasted normal. One of the unseen bonuses on a hot day in Greece (cycling in 30 degrees! ), was that filling the water bottle from a natural source normally meant the water was cold to drink as well. Very much appreciated! Was the water safe to drink? This is the most important question to ask, and also one of the most difficult to answer. Just because a water filter says that it filters viruses and bacteria, is it actually doing its job? Well, in the spirit of honesty, I can only say I think so! I mean, I'm still alive after the month long bike tour when I used the filter, and I didn't get sick. That's the main thing after all! 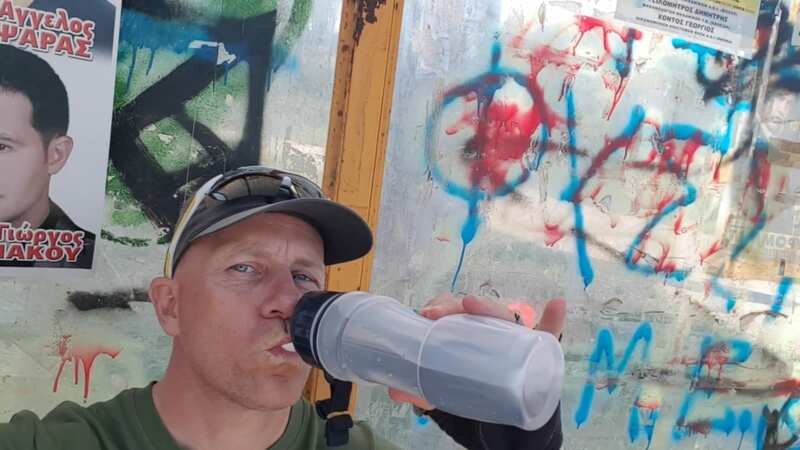 Joking aside, the DrinkSafe water bottle with filter for travel has a long pedigree, with tonnes of positive reviews on Amazon just like mine. If there was a major issue with them we'd know by now. I'm completely happy with my purchase, and think it offers great value for money. Not only did I use it on the last bike tour, but I will also be taking it to Asia for my five months travel there. It will certainly get some use! Non-standard width means it doesn't fit in all bicycle water bottle cages. The DrinkSafe Travel Tap is up there with my best bike touring kit purchases of the year, right next to my 3 Euro travel towel! My one suggestion though, is that the bottle would be a lot better if it was just a little narrower. 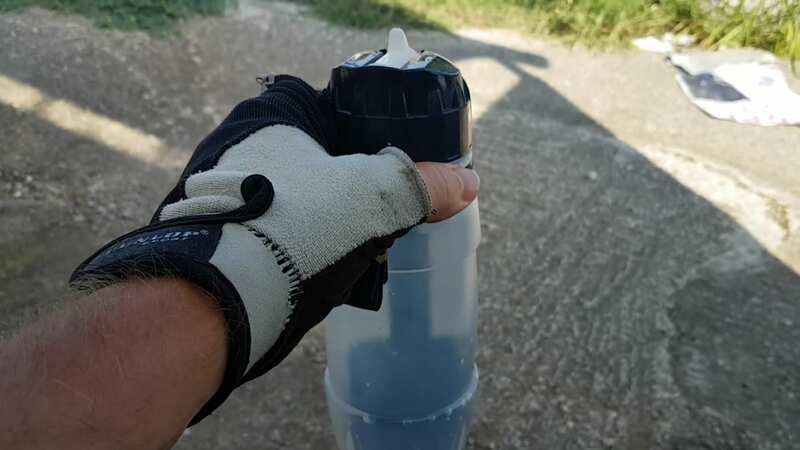 This would mean it would fit in bicycle water bottle cages easier making it even more perfect as a water filter for bike touring!